For new moms and moms-to-be, worrying about your baby begins almost immediately after you find out you’re pregnant. What’s the best pre-natal vitamin? What should you be doing to ensure they’re healthy? How can you make their birth as smooth as possible? Though there are thousands of products and books that are designed to help guide you through the process, we’d like you to know about something completely natural that you may not have considered before—chiropractic care with our practice! 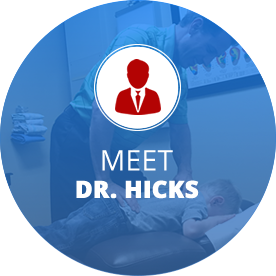 Your Centennial chiropractor is ready to provide the much needed care for you. One of the most common concerns of pregnant women is whether or not they should be taking pharmaceutical drugs during their pregnancy and delivery. With chiropractic care, our doctors can help prepare your body so that it’s in the best possible place for delivery. With a balanced nervous system and spine, new mothers are healthy, happy and ready for motherhood. Another natural option to reduce pain and discomfort during pregnancy without the need for drugs is to purchase a pregnancy pillow, as seen here. If you’re pregnant or thinking of becoming pregnant, give our practice a call today. We’d love to help you on your journey to health and wellness—including a balanced pregnancy! It's great that this article explains how chiropractic care can help a woman's body so that it's ready for delivery. This would be useful to keep them healthier and happier during their pregnancy. When choosing a chiropractor to go to, it would probably be a good idea to find one that is experienced with pregnancy so that they know what techniques to use in order to help your body get as prepared as possible. I really liked what you had to say about this improving the ability to sleep. I have always needed as much sleep as I can get and I just can't sleep when I'm pregnant. This is definitely something I would like to try during my next pregnancy. My sister is expecting a baby and I will make sure to tell her about this article because I had no idea that there are so many benefits to pregnancy chiropractors. The fact that these doctors can help with a balanced nervous system and spine will help my sister to feel more confident and comfortable during her pregnancy. Plus, the fact that it can help with reduced labor time and breast feeding are great benefits!